Sleeveless shirt 100% Cotton by Vic-Torian - Clothing Men Shirts On Sale. 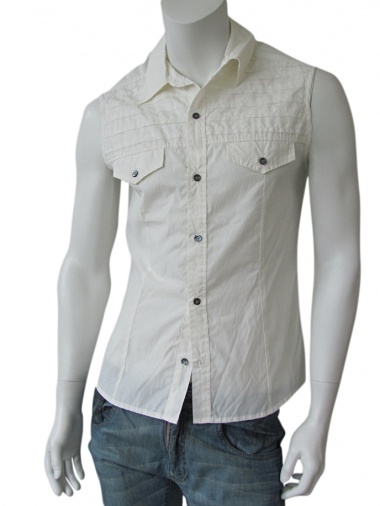 Sleeveless white cotton shirt, pearly buttons fastening, darts on sides, slim fit cut, decoration of relief in the soulders. Interpretation of western's style by Andrew Mackenzie.